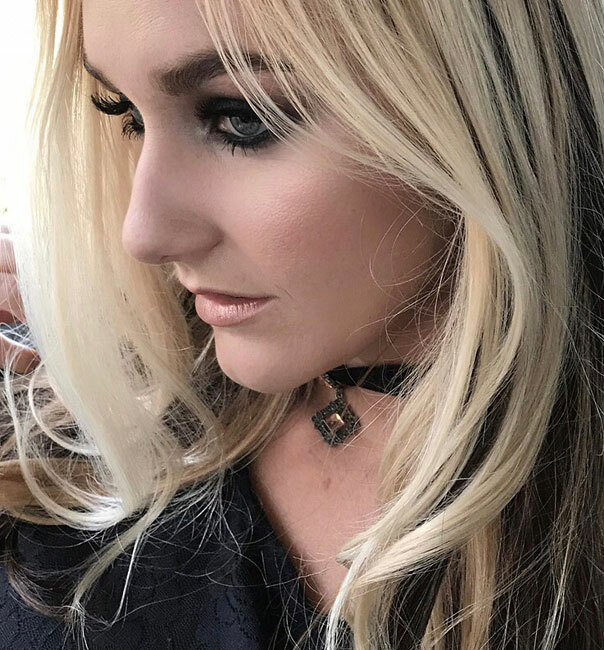 When it comes to a fashion photo shoot with Tawny Horton, head photographer at New Face Model Magazine and event coordinator at So Cal Fashion Photoshoots, there is never a dull moment. Whenever, I’m on a shoot with her it’s like being on an adventurous field trip. 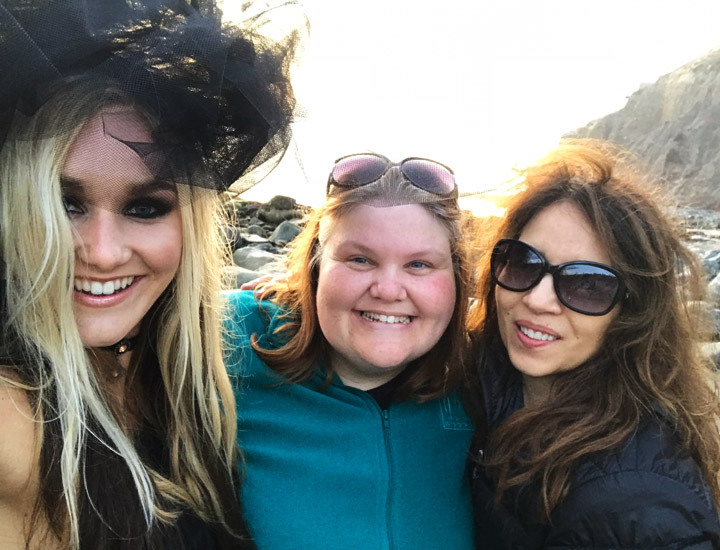 Recently, we had a fashion photoshoot at Dana Point Harbor and Tawny, wanting to create something bold, brought a $10,000 Canon lens. She looked like a sniper aiming for the kill. TAWNY, WHAT’S A FASHION PHOTO SHOOT LIKE USING A $10,000 LENS? DID YOU EXPERIENCE ANY CHALLENGES WITH THE LENS? This fashion photo shoot was a blast. Tawny has extraordinary conceptions for what she wants to create and knows how to put it all together. 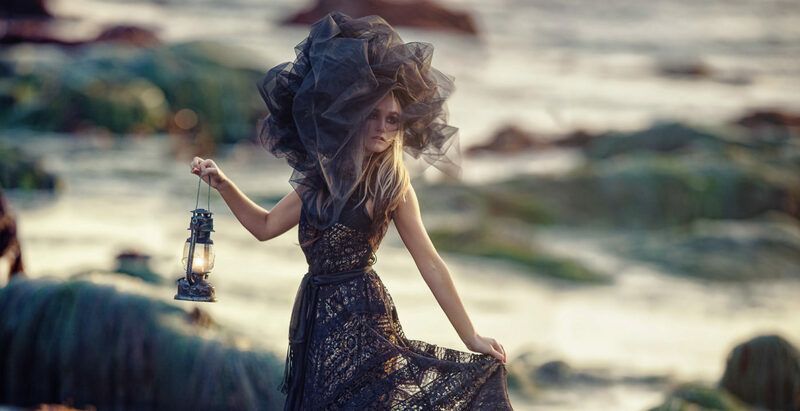 The theme and props for this shoot created beauty, mystery and enchantment. 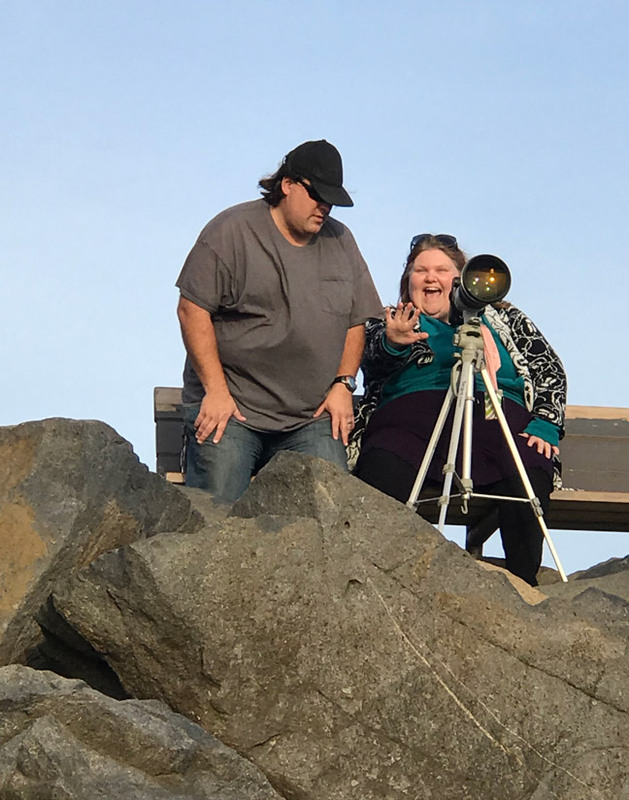 We all had fun joking that Madison Hopkins, our beautiful model, had to nearly stand on Catalina Island so she could be far enough away from the lens! We also talked about tying a rope around her waist so she wouldn’t be swept out to sea incase she fell into the ocean from the waves crashing around her. Madison is a badass fashion model! I ASKED MADISON WHAT IT WAS LIKE MODELING SO FAR AWAY FROM THE CAMERA. Tawny made the captivating headpiece out of black tulle. It was so windy that the headpiece kept growing—getting bigger and bigger on Madison’s head. So, I walked out to the water and started stapling the headpiece to contain it and make it smaller. I was determined not to let the wind win. However, I got carried away with the stapler because when I stood at a distance, it looked like a 1960’s afro. So, I started ripping areas of the head peace apart to create the right balance. I prepped Madison for hair and makeup in the morning at my studio. I was so excited to use my new Chanel creme eyeshadows and blush (burnt coral). For length and fullness, I added clip-in extensions to Madison’s hair. 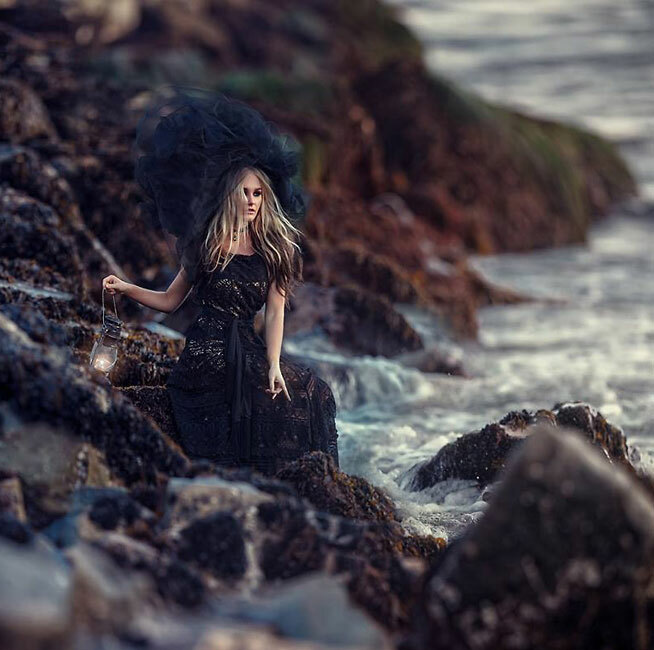 A fashion photo shoot can be a wild ride with environmental conditions and other elements that suddenly surprise us. Comment below if you are ready to use a Canon $10,000 lens or what your experience was like if you’ve already shot with this dynamic lens. Learn more about Tawny Horton’s fashion photo shoots here: tawnyhorton.com.